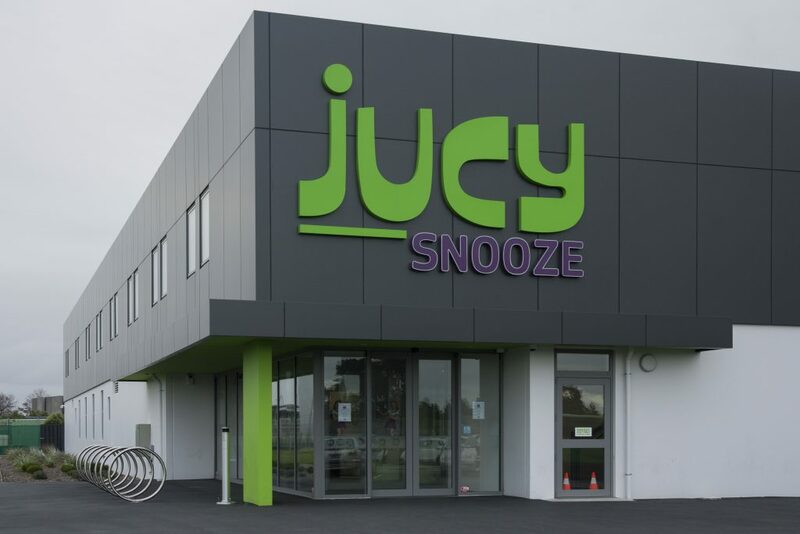 Commercial cladding with Aluminium Composite Panels allows for bold design options with a highly durable and weather resistant material, making it a popular choice with architects and builders. Commercial buildings typically use ACP for external facades, wall cladding, flat panels, column/counter cladding and ceiling tiles where a high quality, certified ACP system is required. With over 70 years in business, Stratco has built strong relationships with customers and suppliers where we are trusted to deliver effective solutions on time and on budget. All ACP systems comply with New Zealand and International Standards and we deliver fully comprehensive Testing Documentation, Shop Drawings and Producer Statements of Design. Lightweight – Average panel weight is 5.5kg/m2. ACP are lightweight panels that can be easily routed, folded and fabricated into a wide range of shapes and features.